A Ugandan lawmaker was on Wednesday declared winner of a parliamentary by-election despite cooling his heels in detention during voting and counting of votes in a chaotic polling exercise. 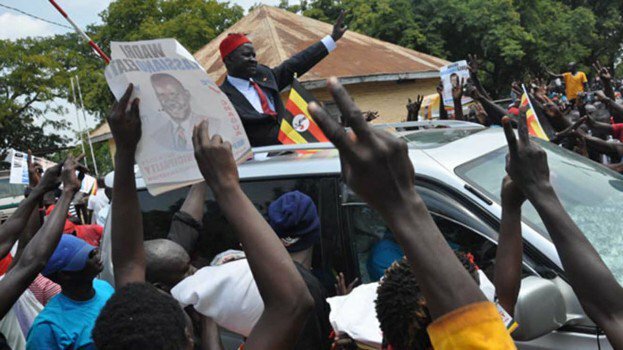 Independent candidate Kassiano Wadri was declared winner of the Arua Municipality seat despite being in detention some 200km away in Gulu District alongside his main campaigner Robery Kyagulanyi aka Bobi Wine. Wadri garnered 6,528 votes which tabulated to 38 per cent of the votes cast. The ruling party NRM’s Nusura Tiperu came second with 4,763 votes in a field that attracted 12 candidates. The exercise was marred by chaos with President Yoweri Museveni, who camped in the area to campaign for Tipweru, claiming his car had been vandalized by Bobi Wine. Bobi Wine’s driver was also shot dead in unclear circumstances. Later on, heavy deployment of security forces led to closure of several businesses in the area. And in a related development, the police are on Thursday expected to charge Bobi Wine at the Court Martial after claiming two guns were recovered in his hotel room more than 48-hours after his arrest. Wadri is also expected at the resident magistrate court. However, Luigi Candia who is the proprietor of the hotel in question, has dismissed the police allegations against Bobi Wine as untrue, and claimed the same is aimed at covering up the ‘vandalism and robbery’ done by the presidential guards. Bobi Wine was arrested on Tuesday morning allegedly from the ceiling of the hotel where he’d been hiding. Wadri and several MPS were picked up on Monday and have not been seen in public since.